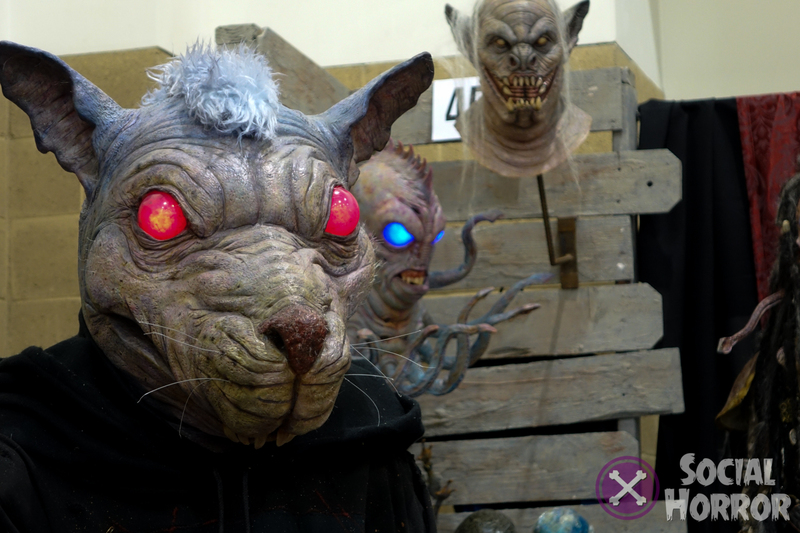 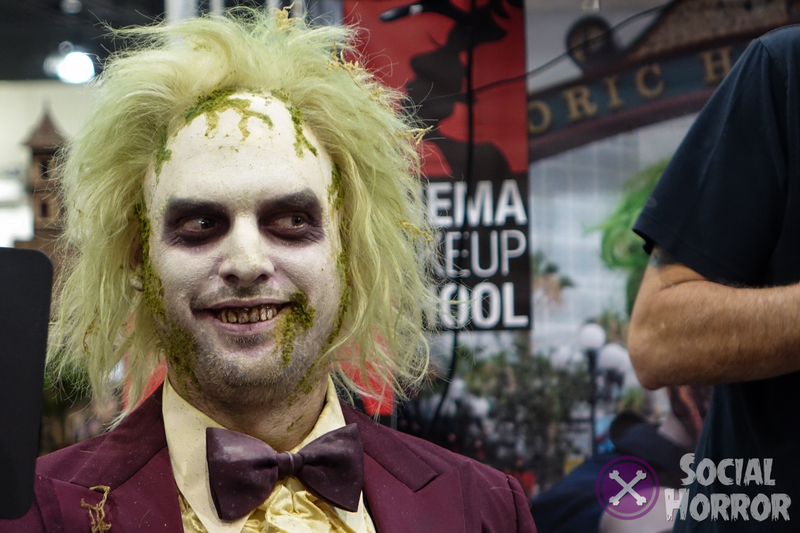 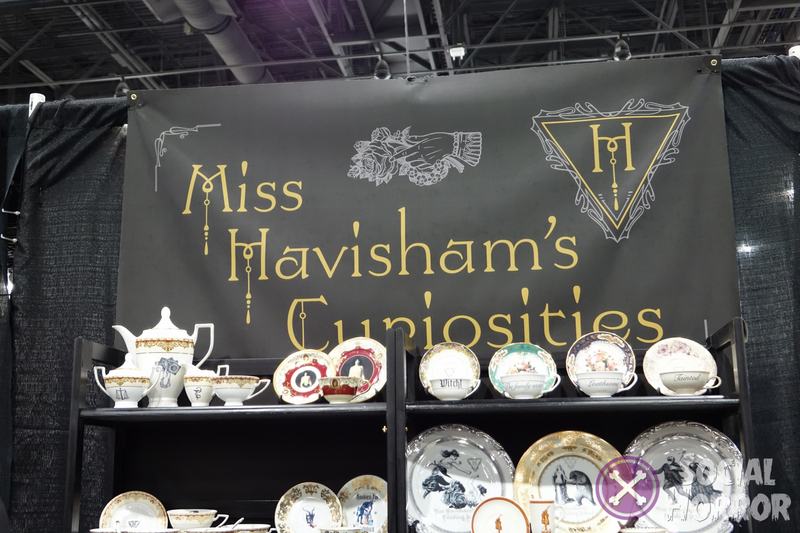 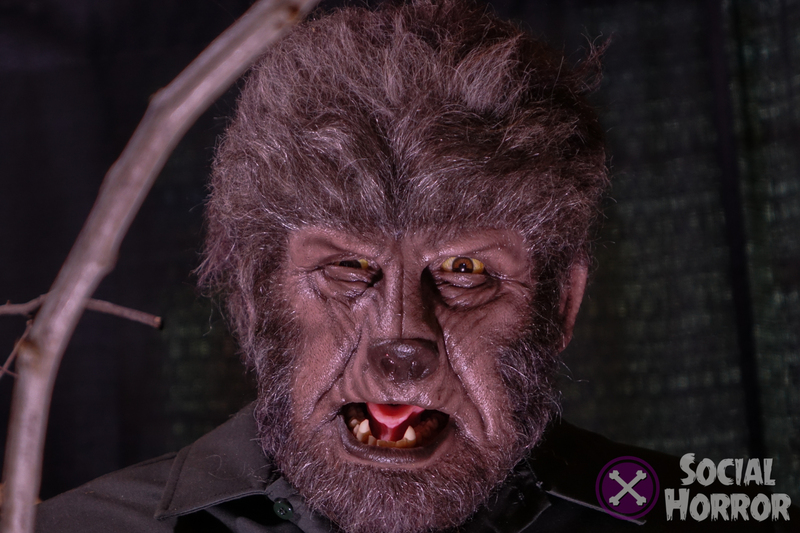 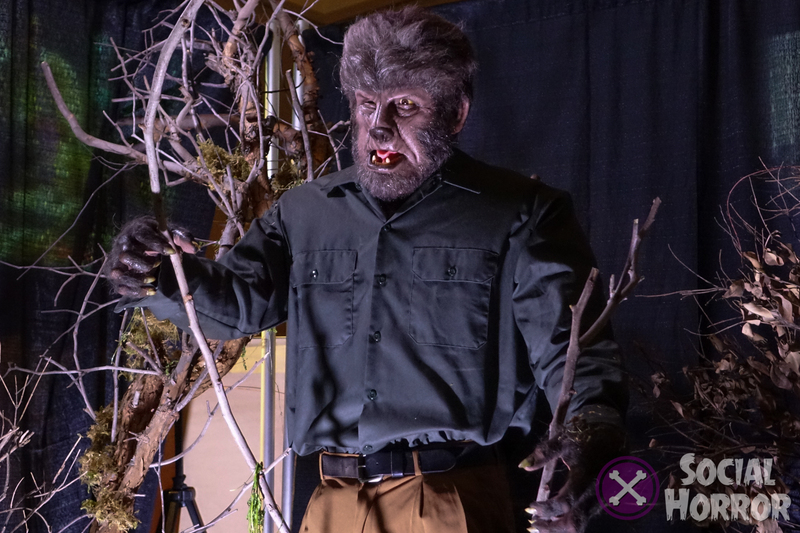 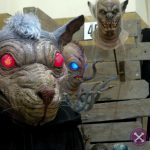 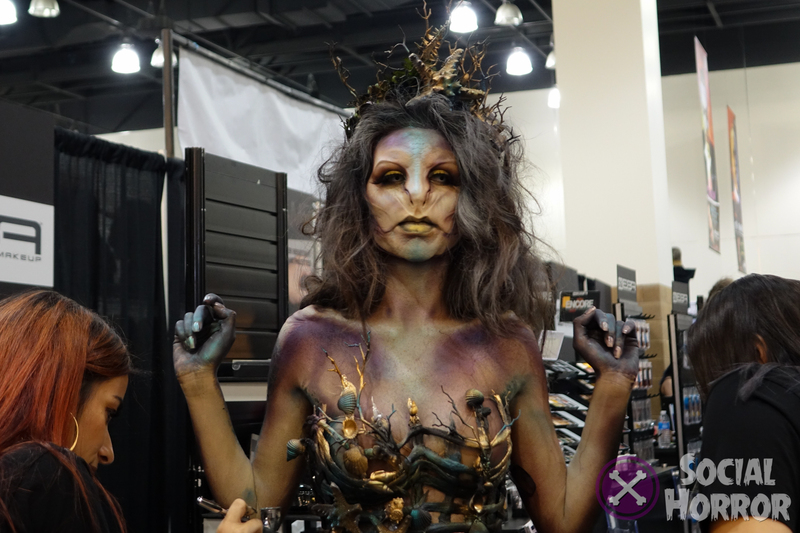 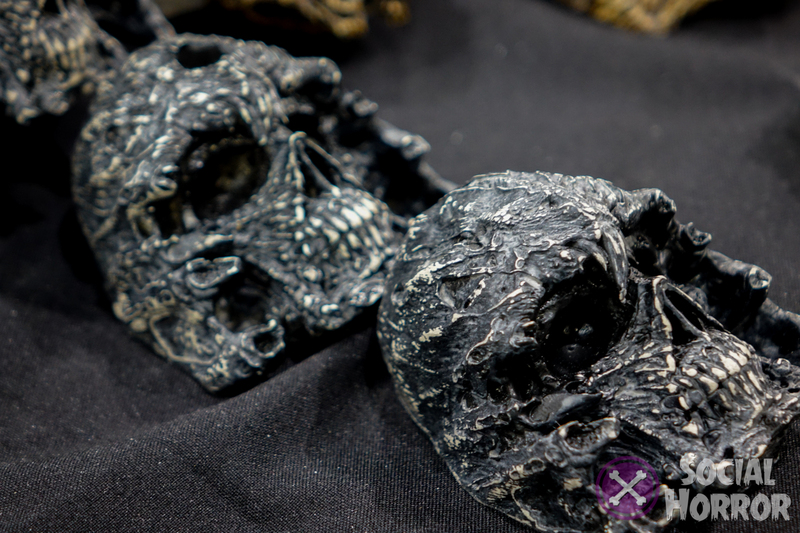 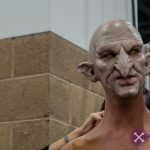 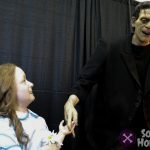 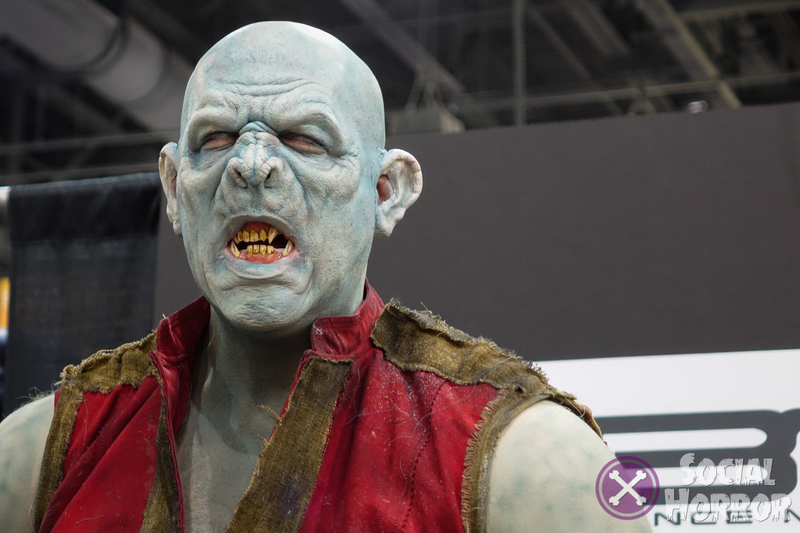 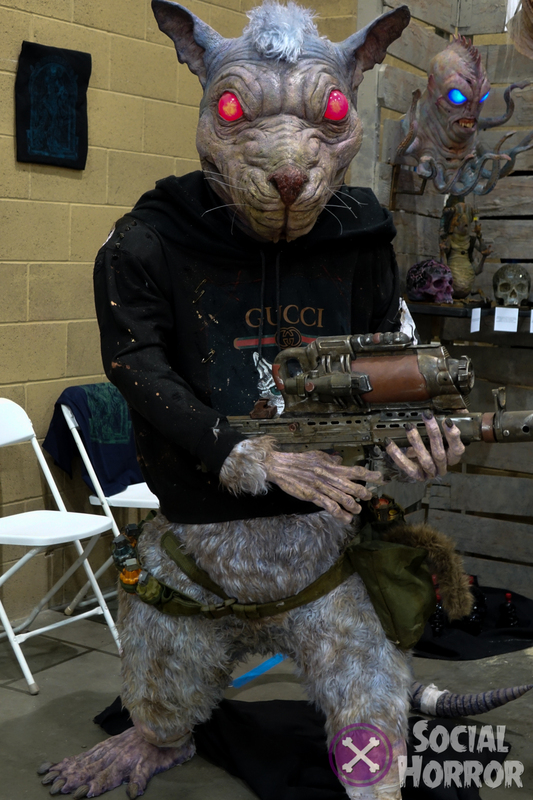 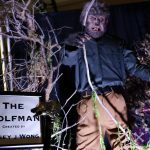 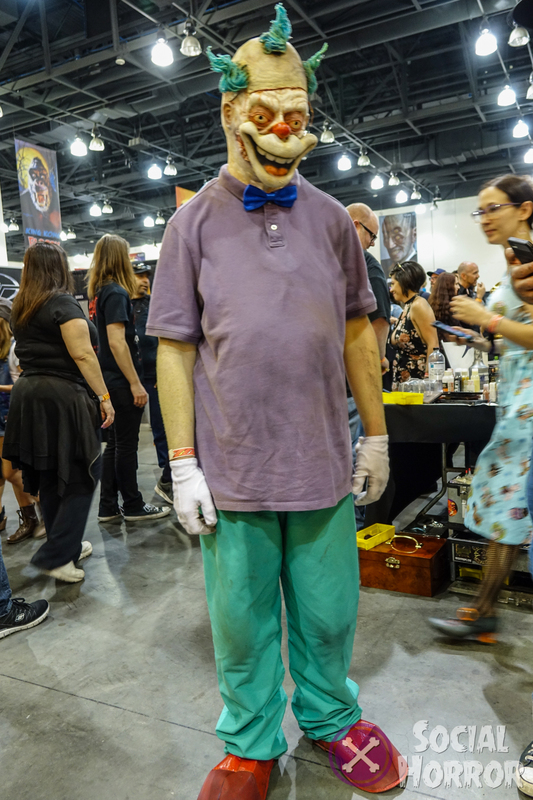 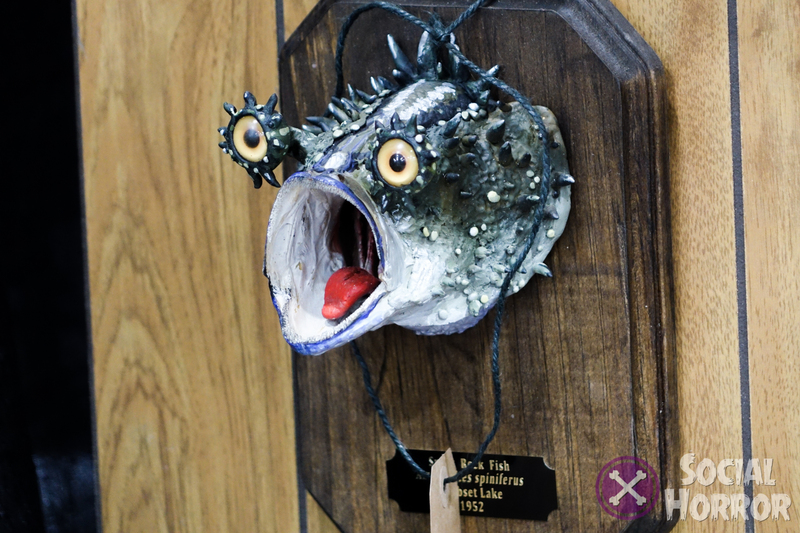 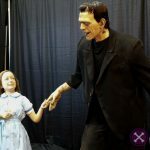 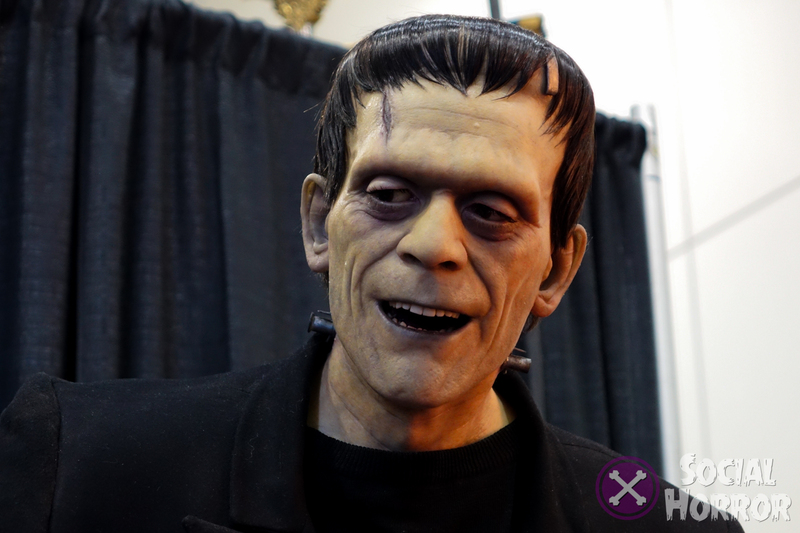 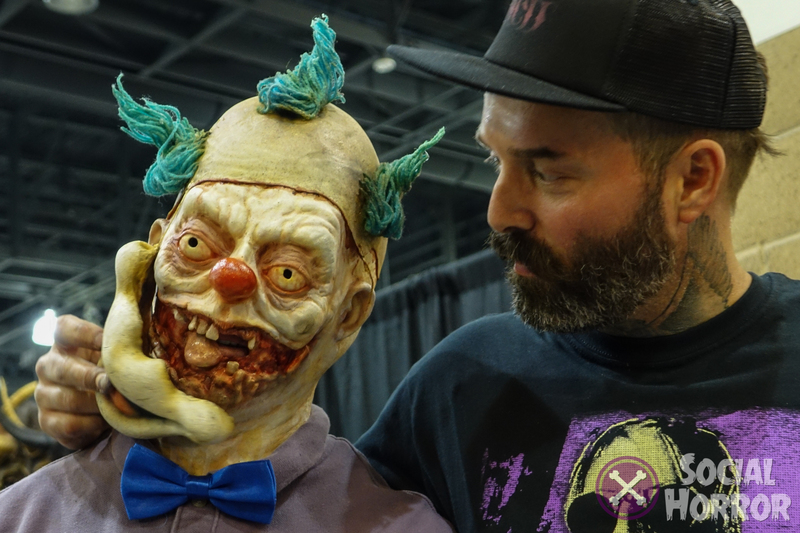 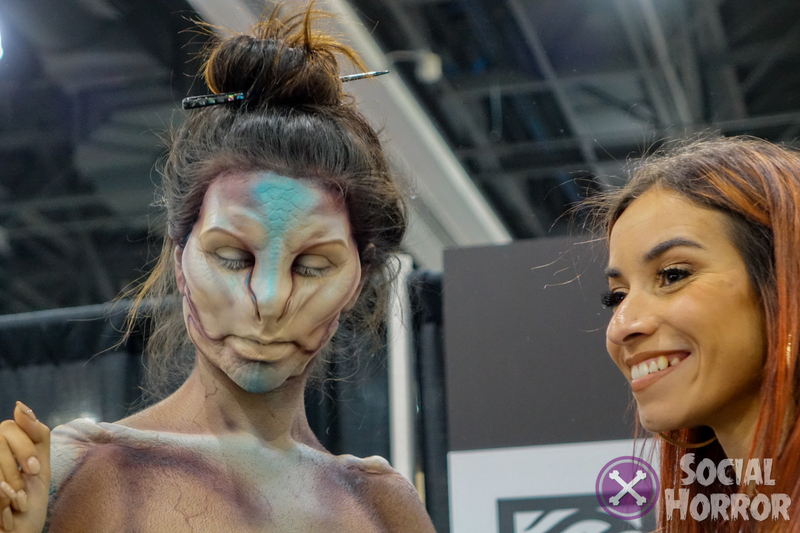 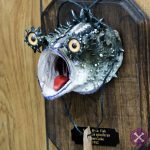 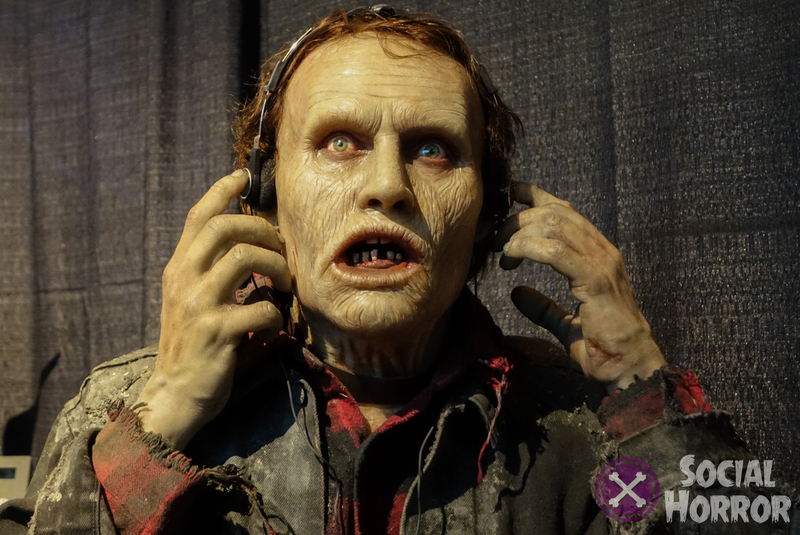 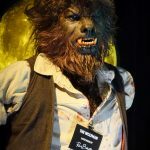 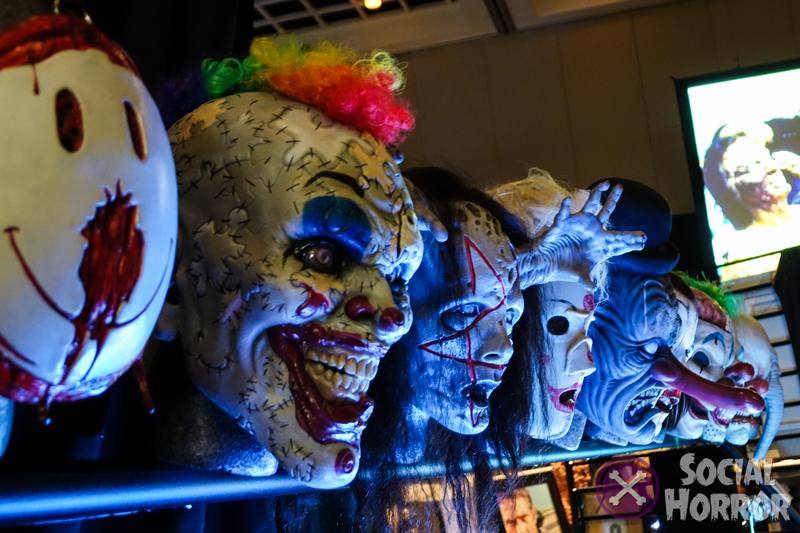 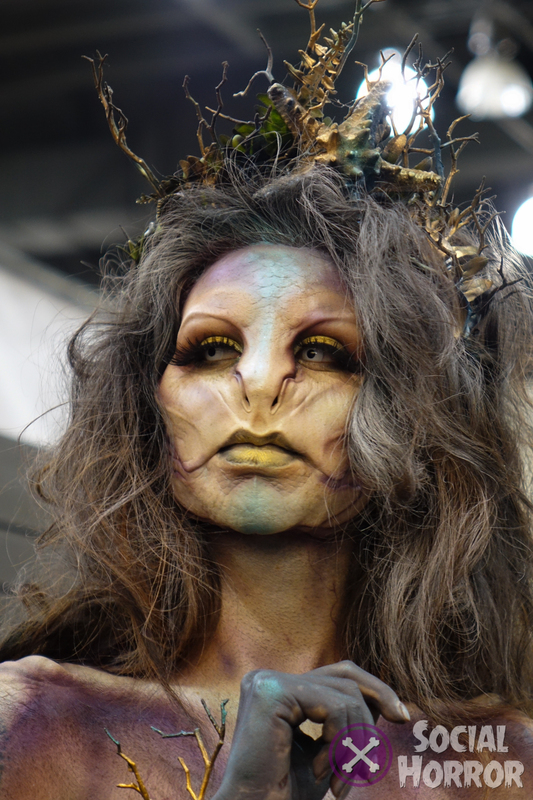 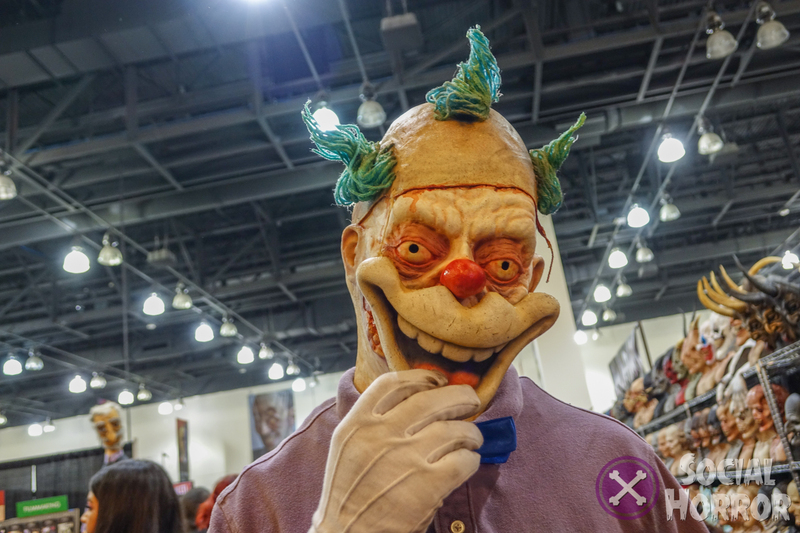 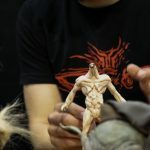 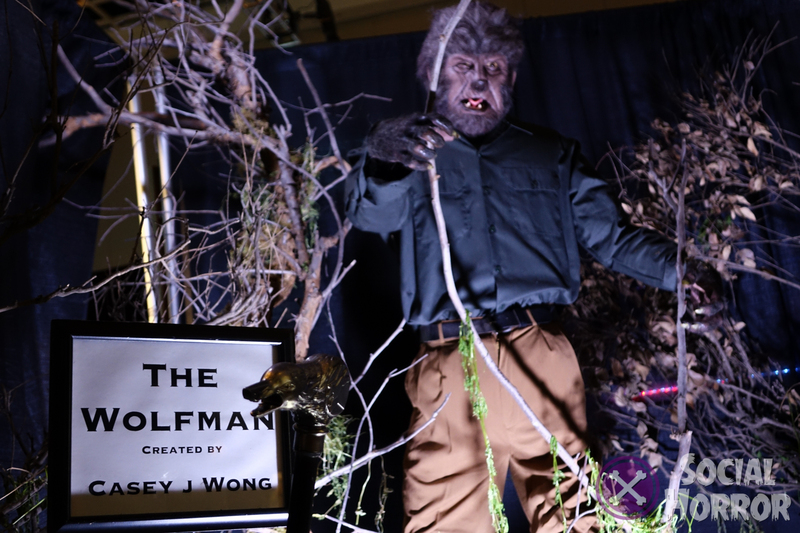 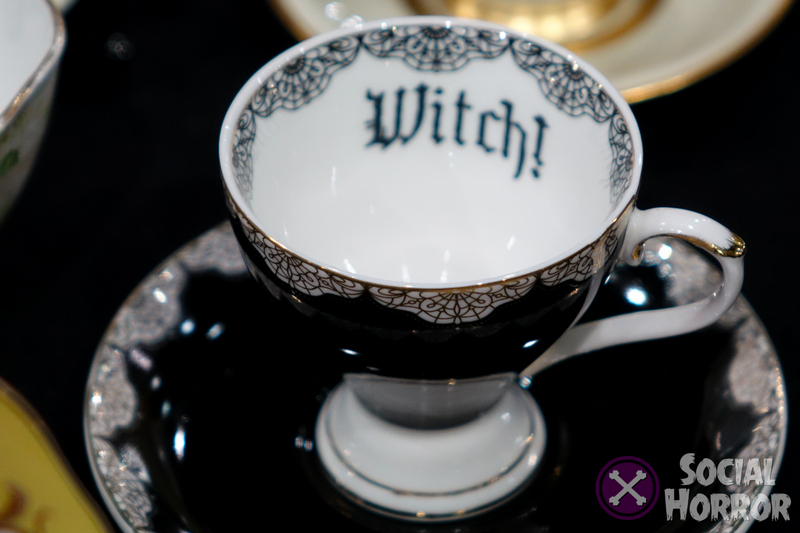 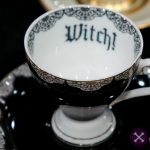 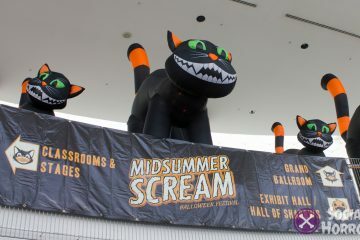 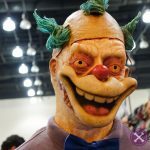 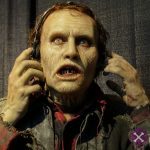 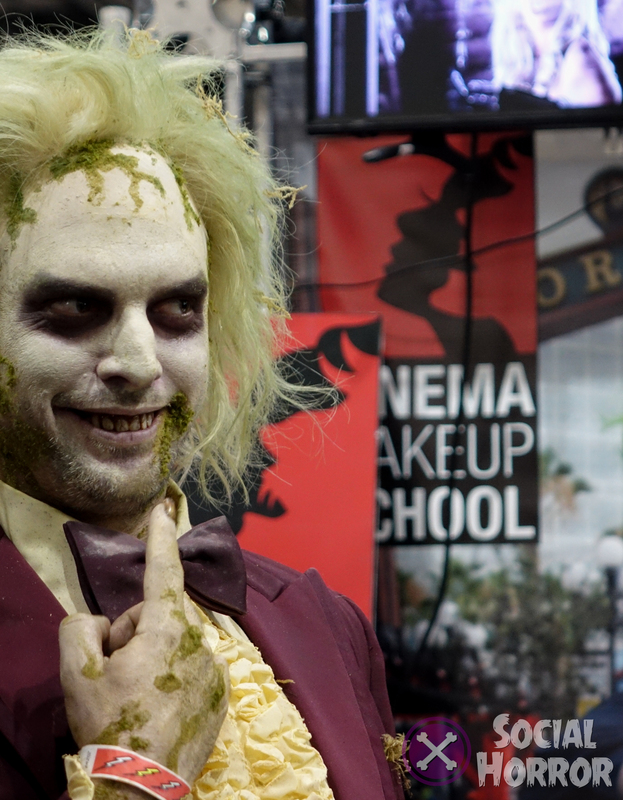 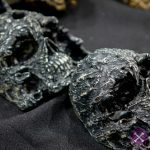 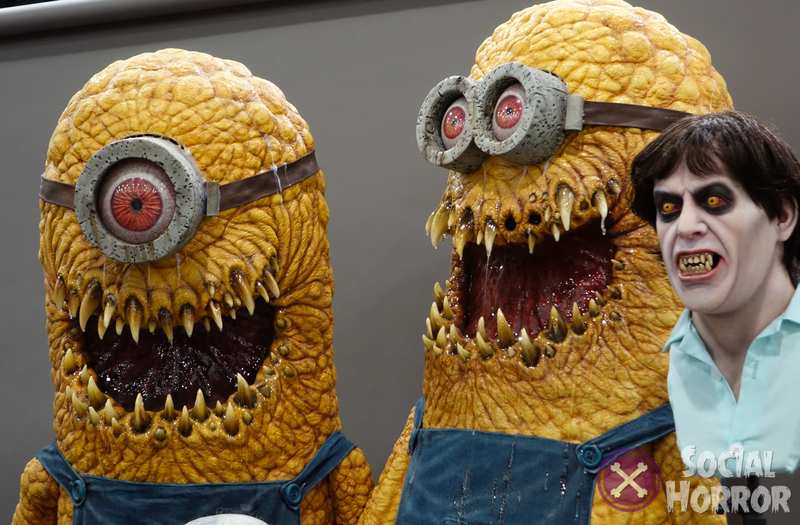 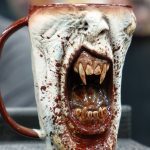 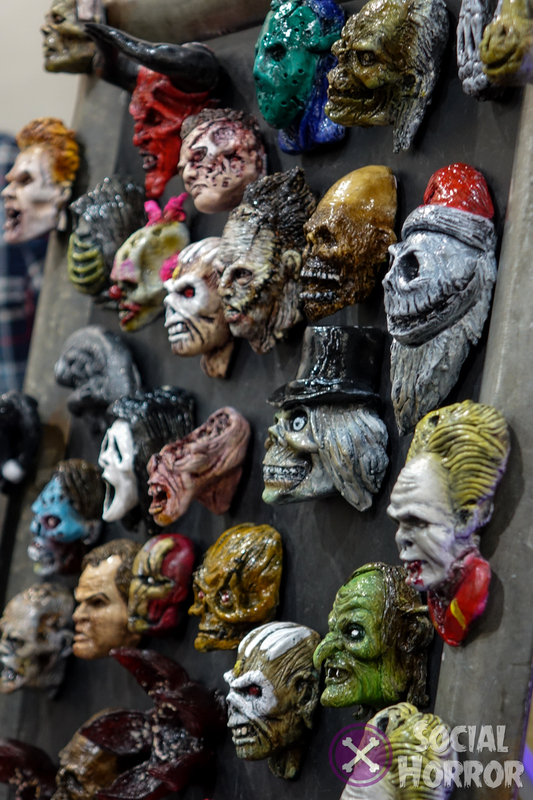 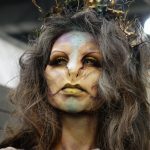 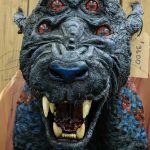 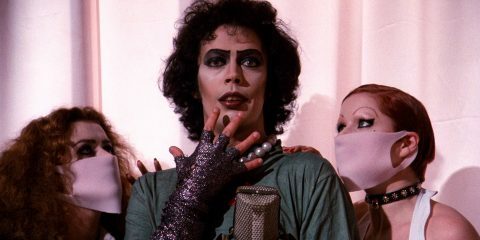 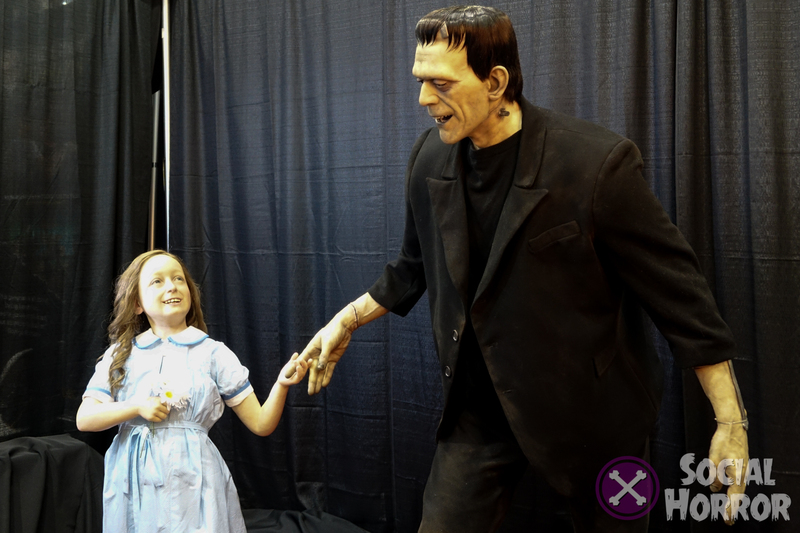 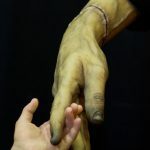 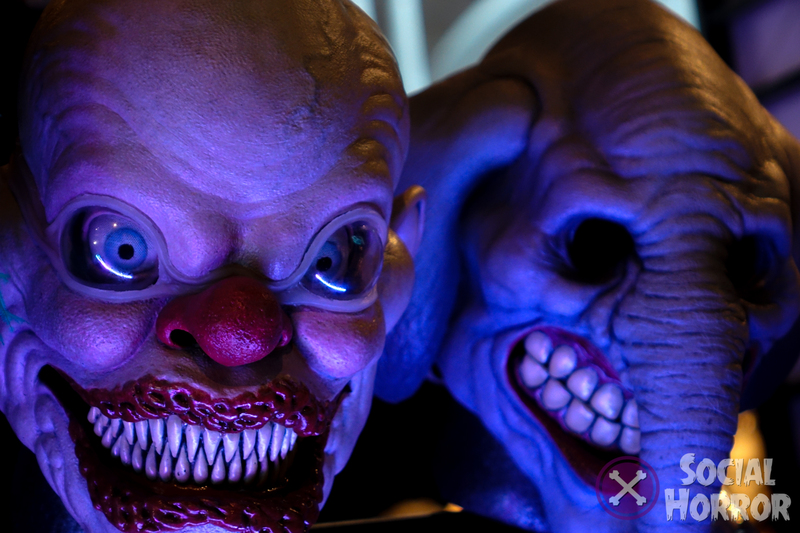 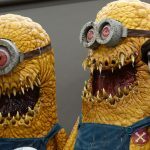 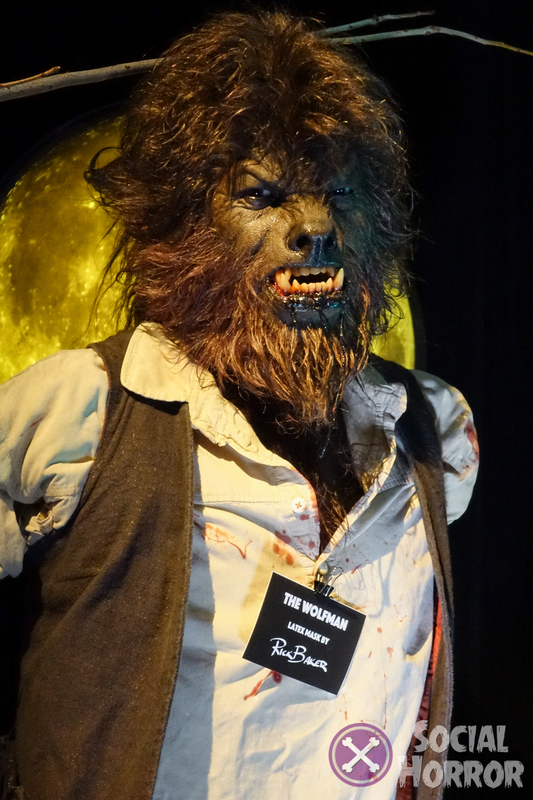 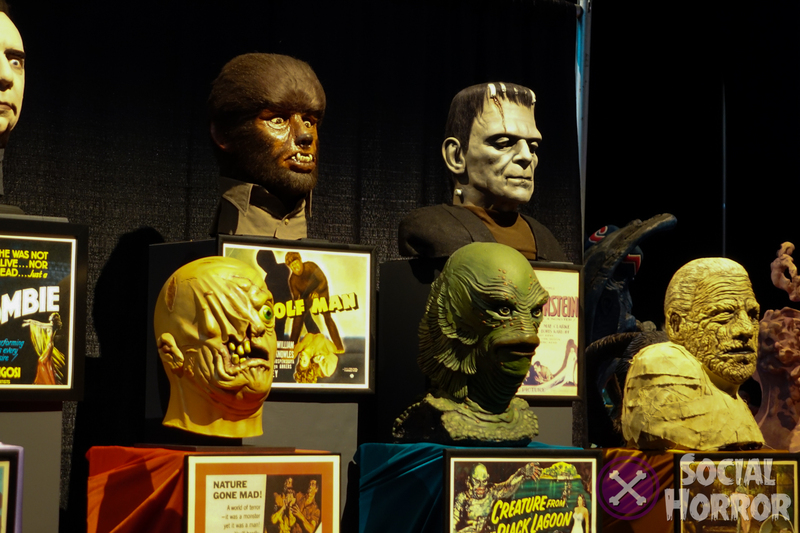 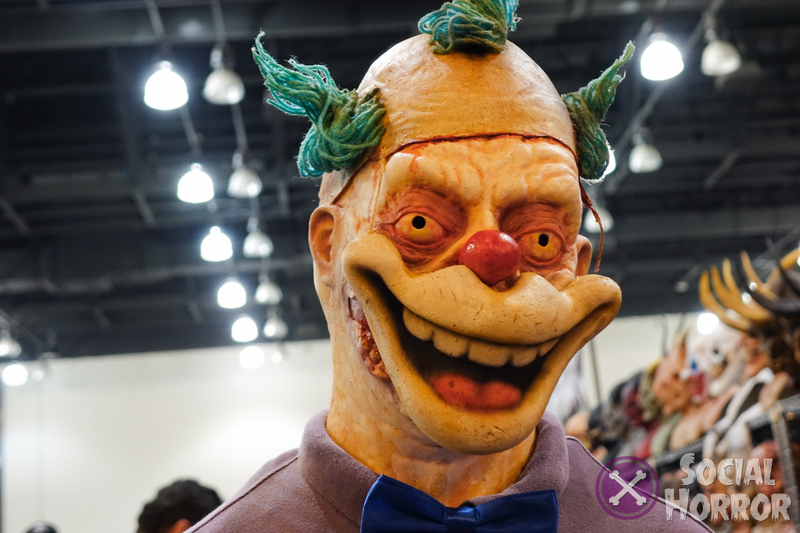 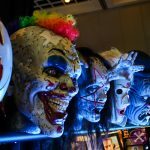 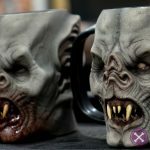 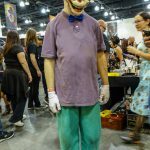 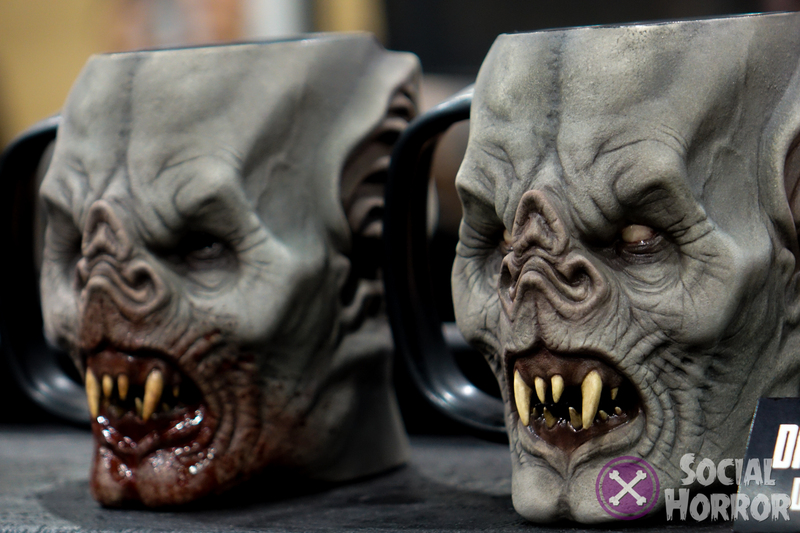 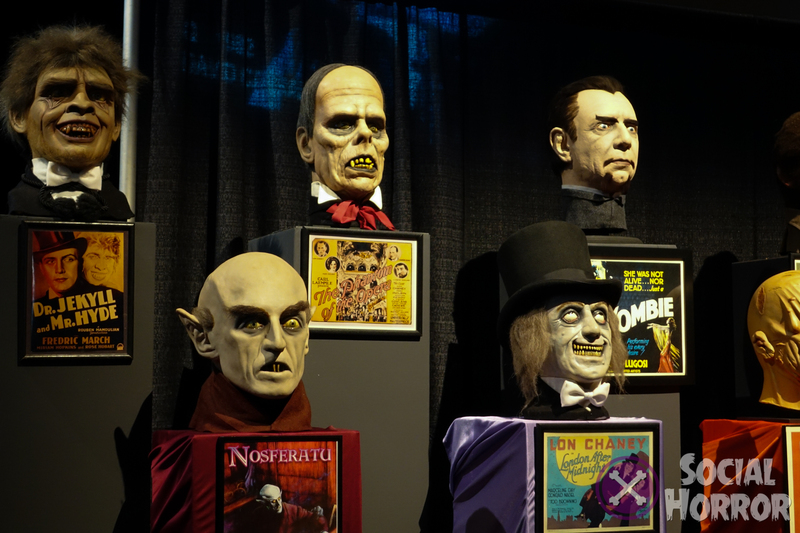 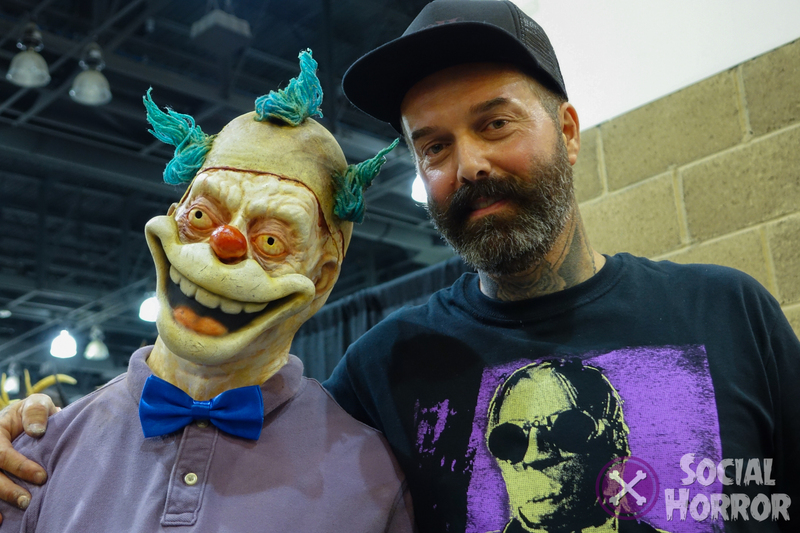 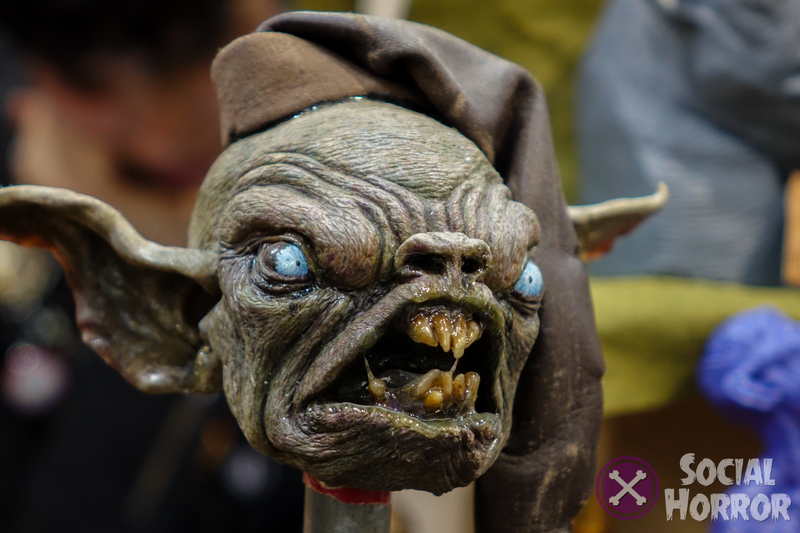 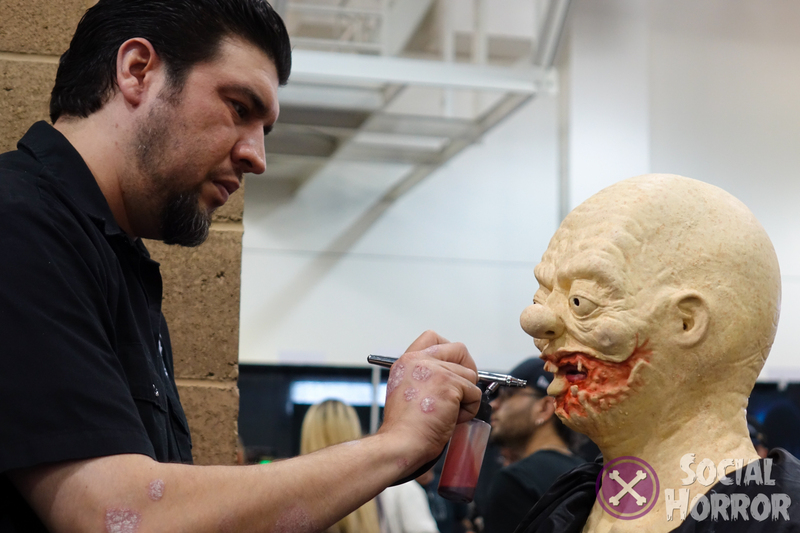 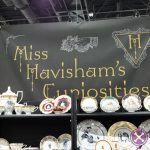 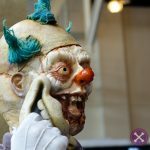 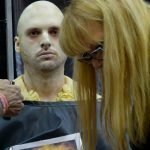 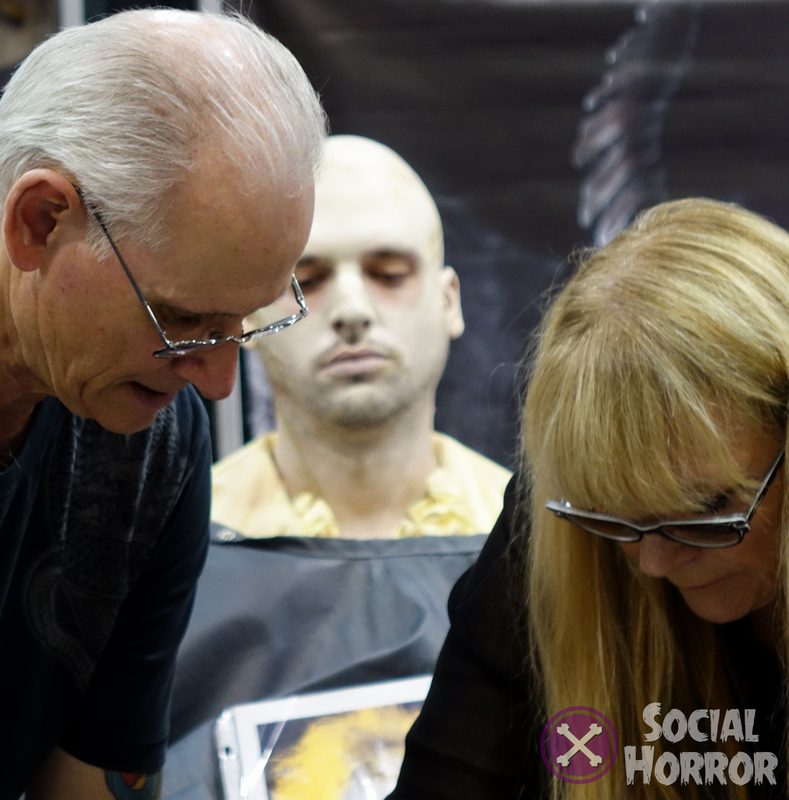 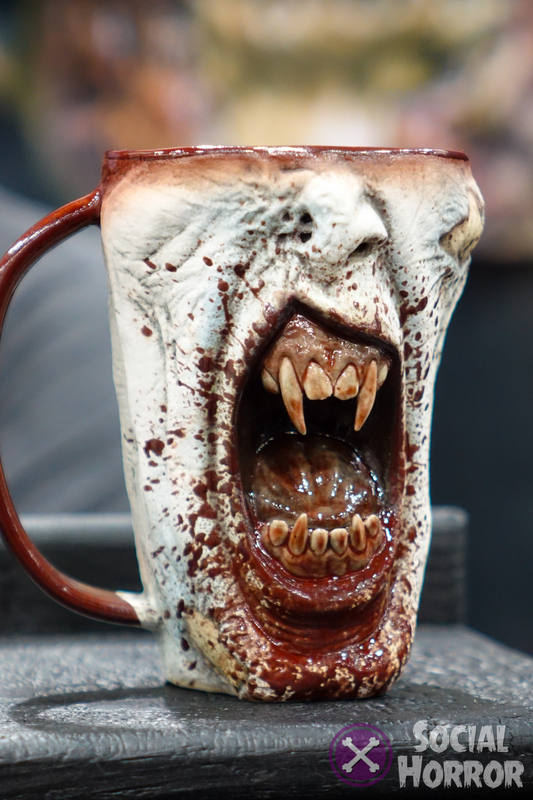 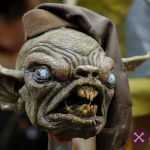 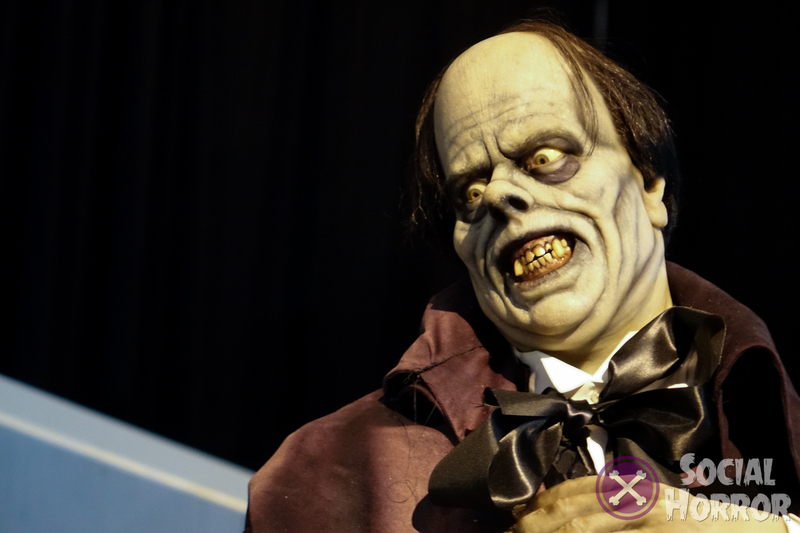 Last weekend, Monsterpalooza rang in springtime with a sea of black t-shirts, incredible horror icons, and a lot of monster merch. 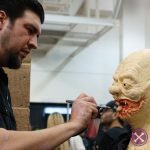 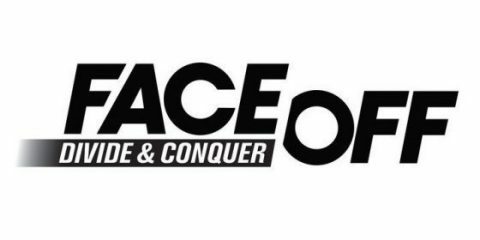 This year marked their 10th anniversary of the event and its third year in the Pasadena venue, which seems to again, be outgrowing its location. 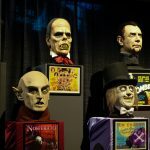 There are always a lot of really cool things to see and every year I look forward to it, but this year, despite its anniversary, didn’t feel the same. 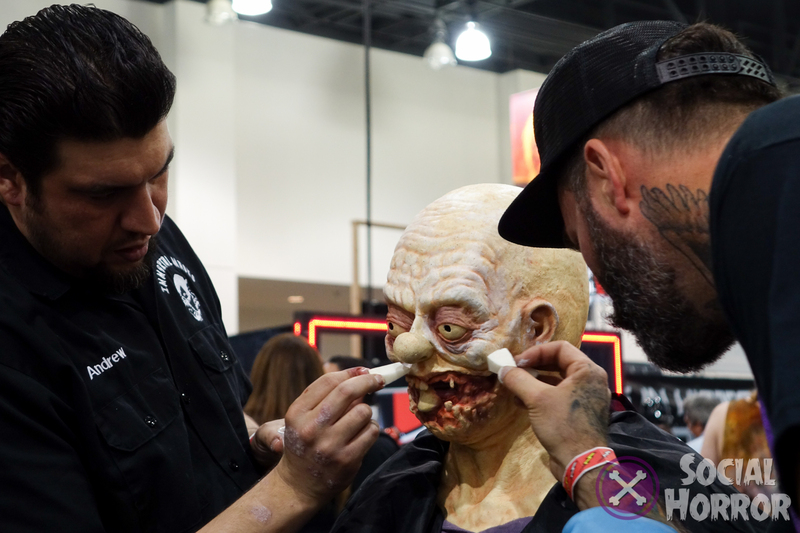 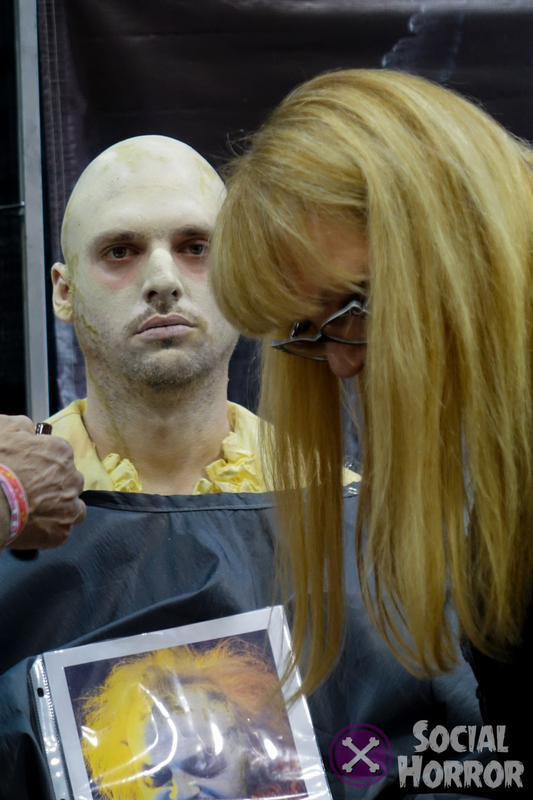 Perhaps it’s due to a lot of people on edge, or maybe many in the horror world are, well, busy making horror.Many of the long-time artists and vendors had much of the same things they’ve had on display in past shows, but, there were a few new things from new people, new and more creative makeup demos, and still enough things to sink your teeth into and drain your wallet dry. 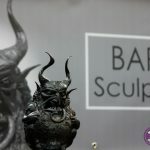 Regardless of how I felt when I was at the event, it should not deter from the hard work that these artists do put into their craft year-round, some, only for this show. 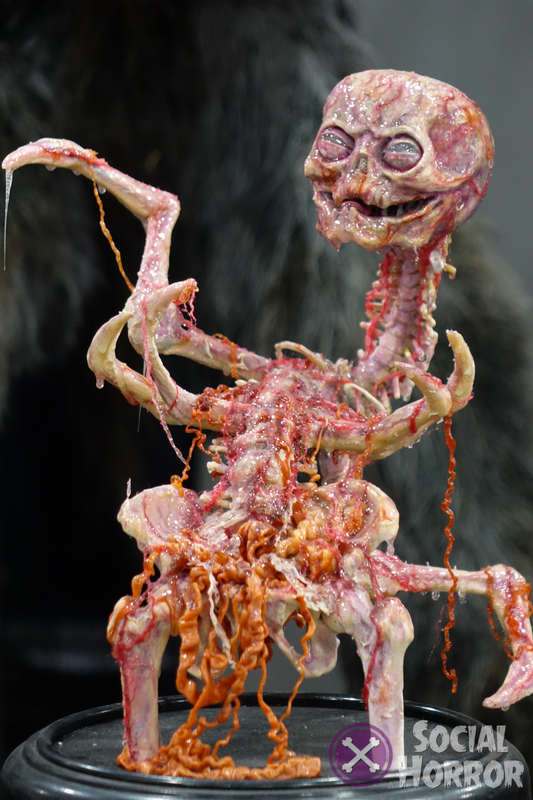 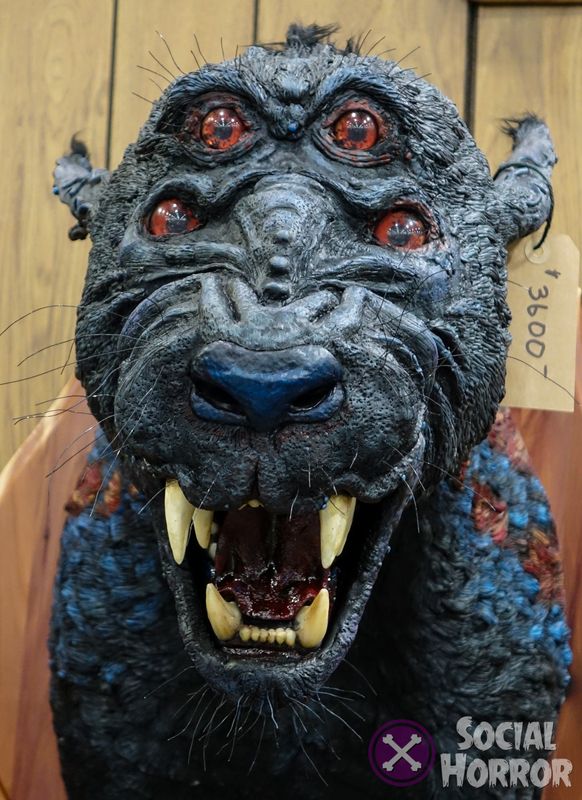 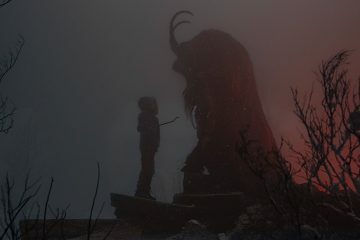 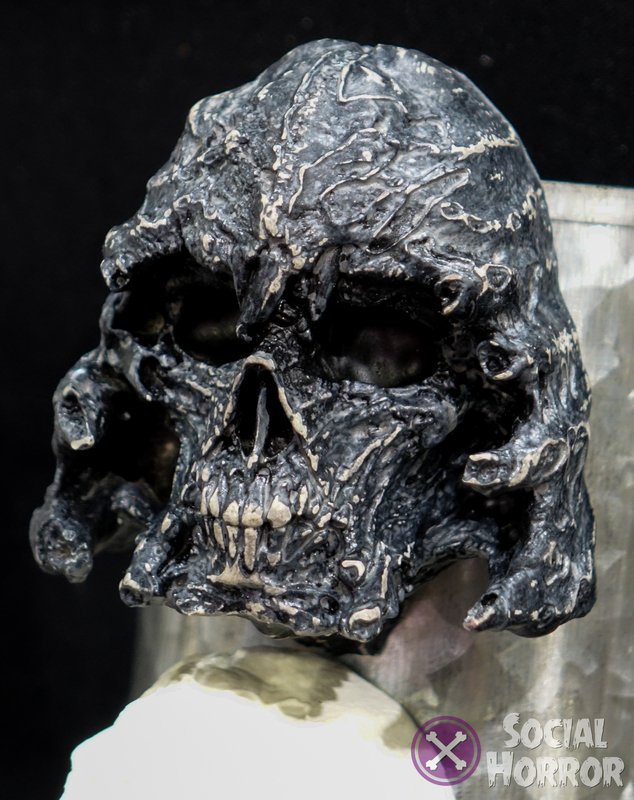 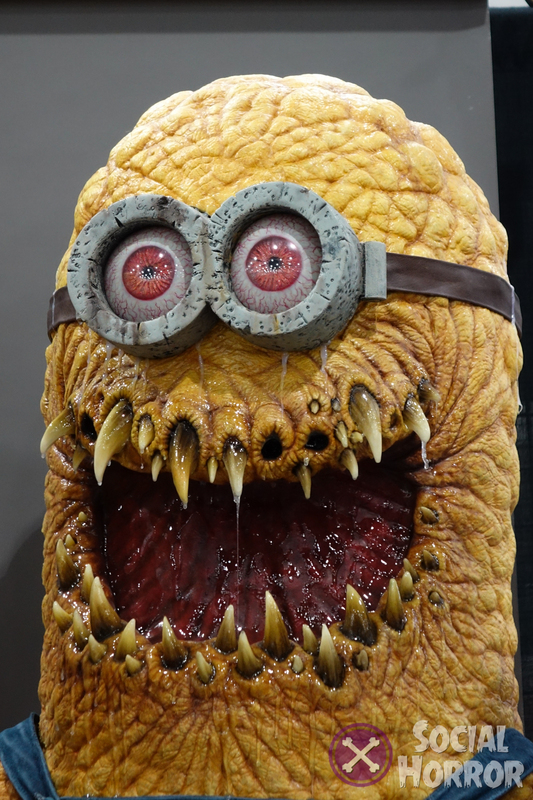 I always enjoy seeing what new and terrifying things artist Patrick Magee has come up with. 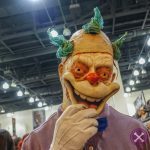 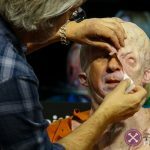 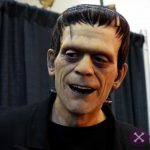 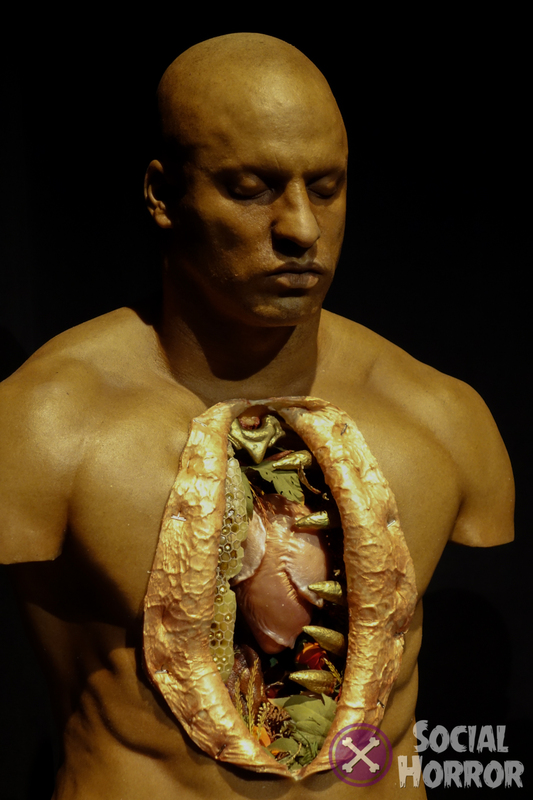 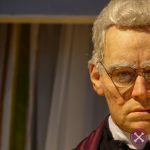 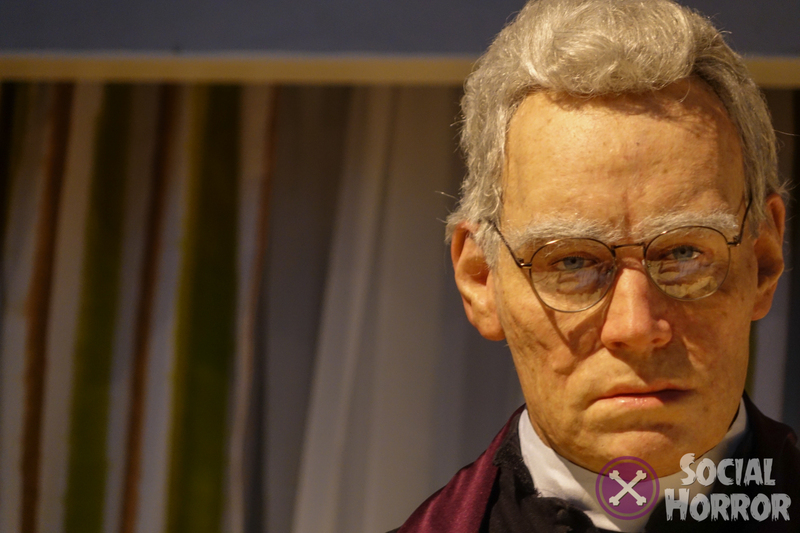 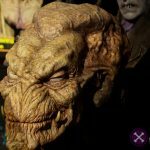 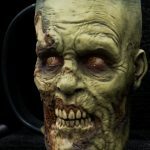 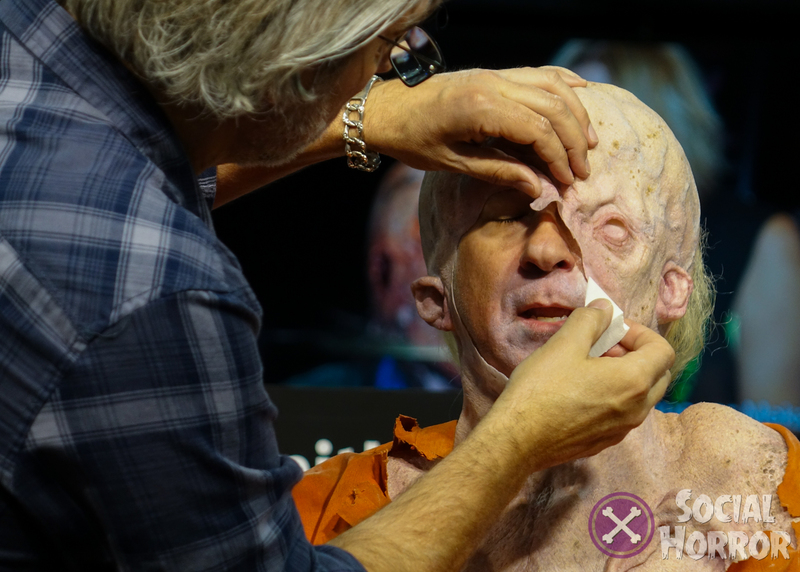 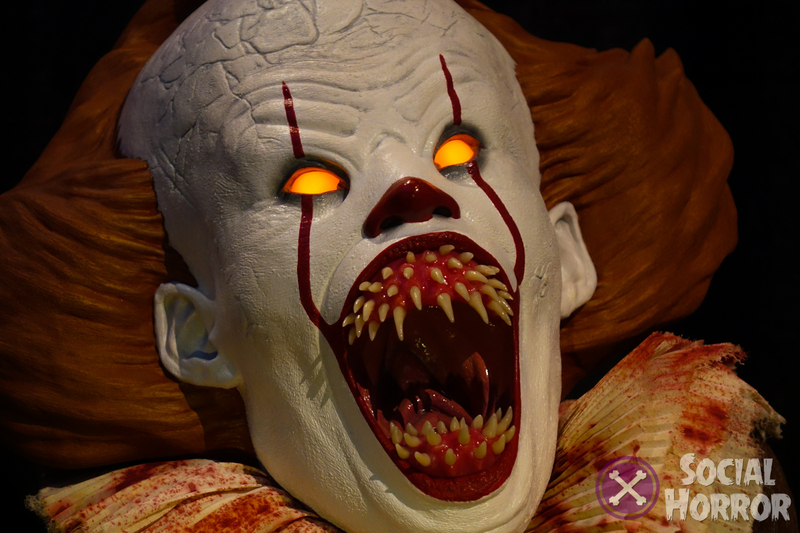 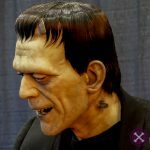 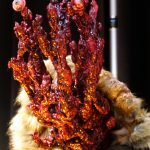 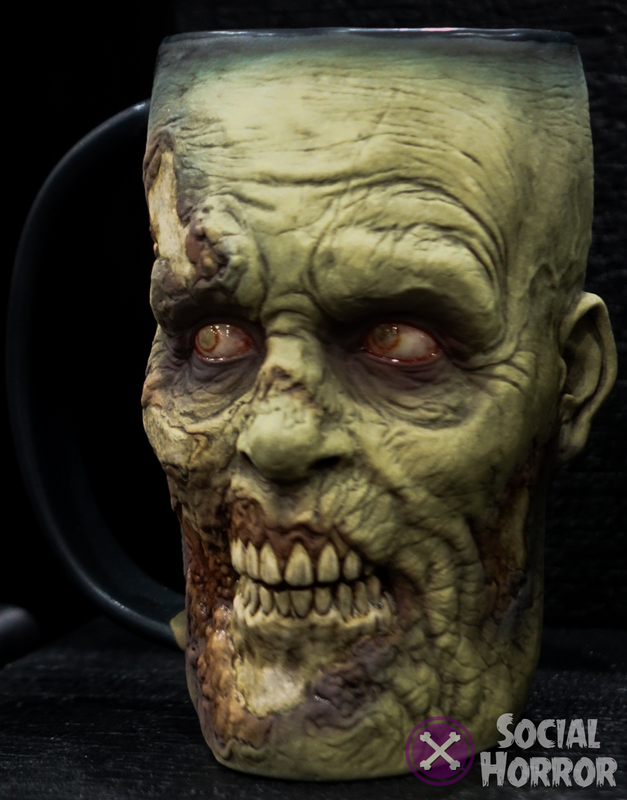 The amount of realism he puts into every part of his sculpts makes these terrifying original and replicas spring to life. 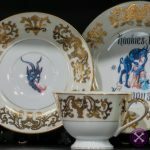 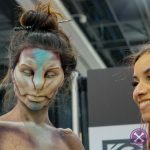 Here are just a few shots and if you want to see more of his fantastic skills up close, check out his Instagram for more exciting pieces. 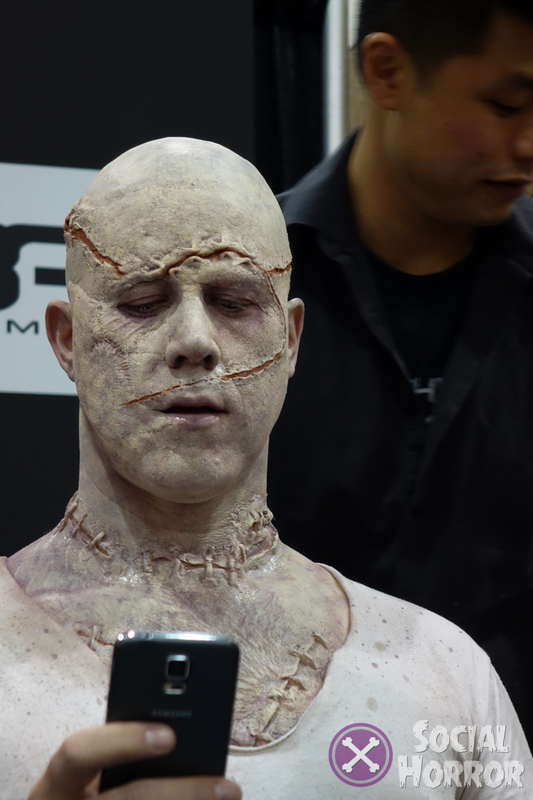 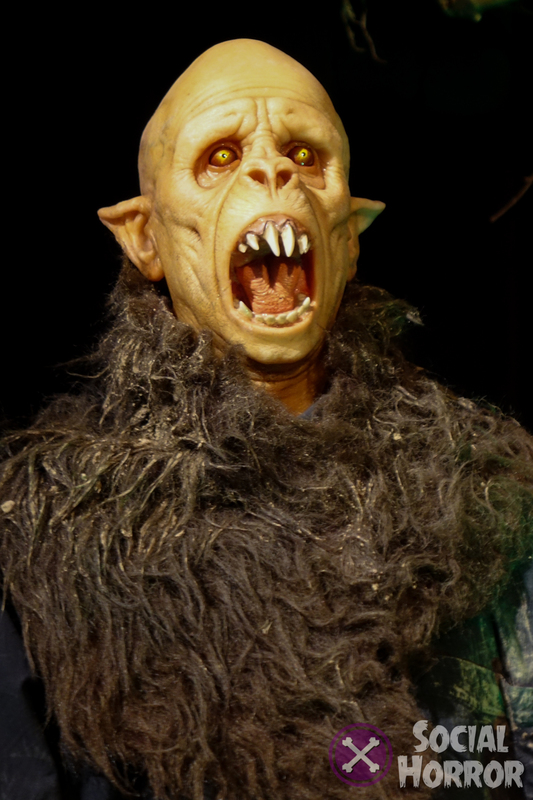 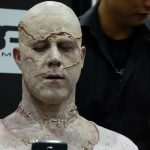 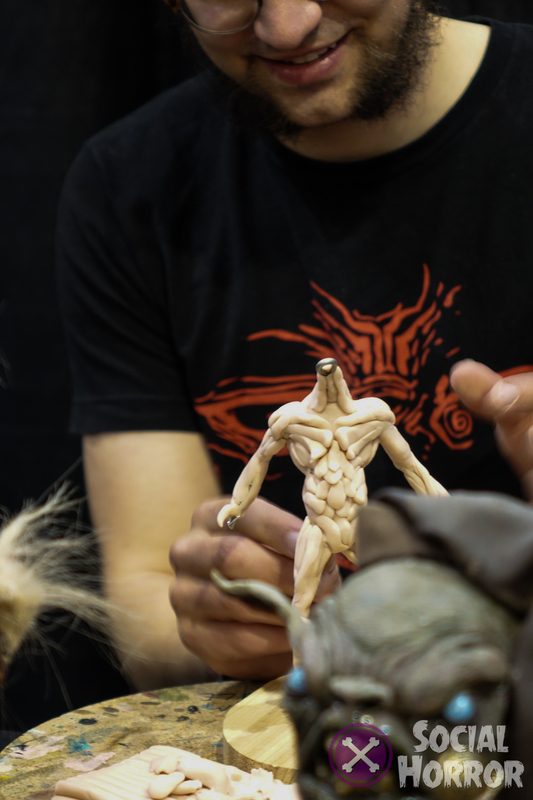 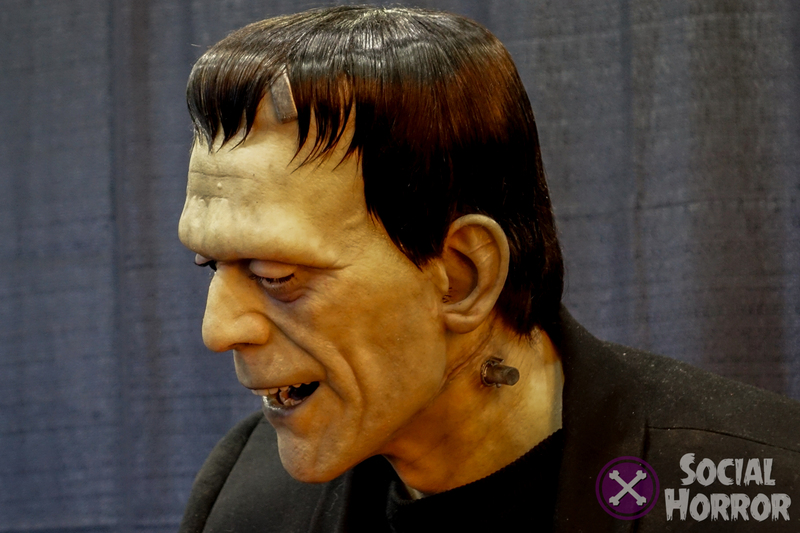 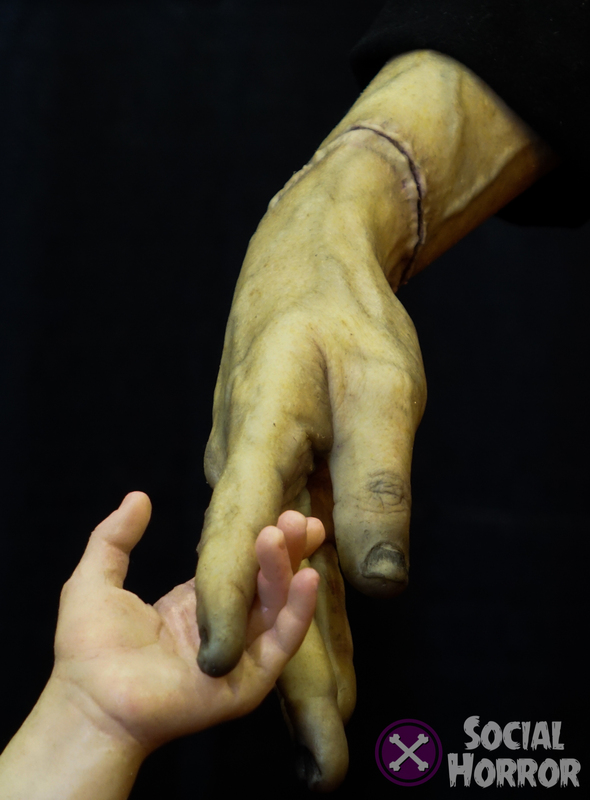 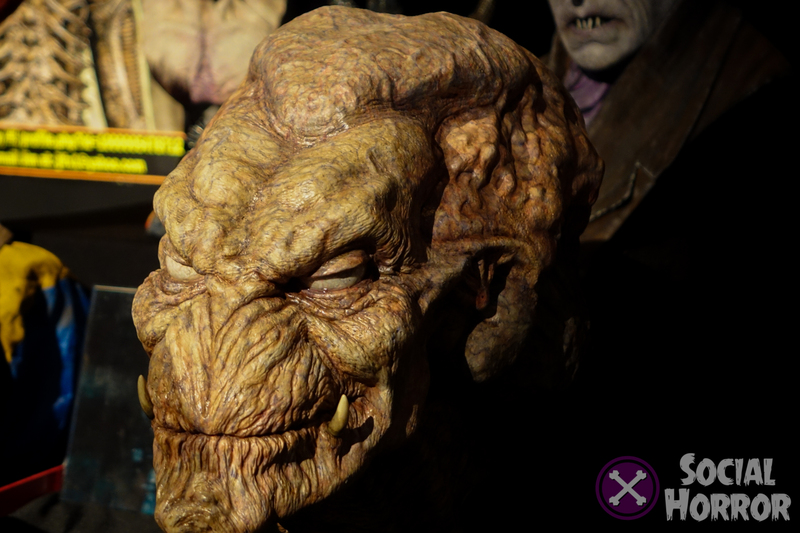 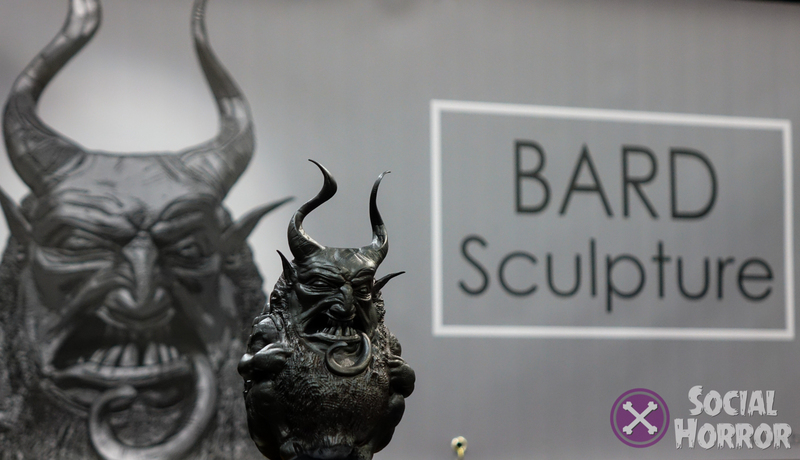 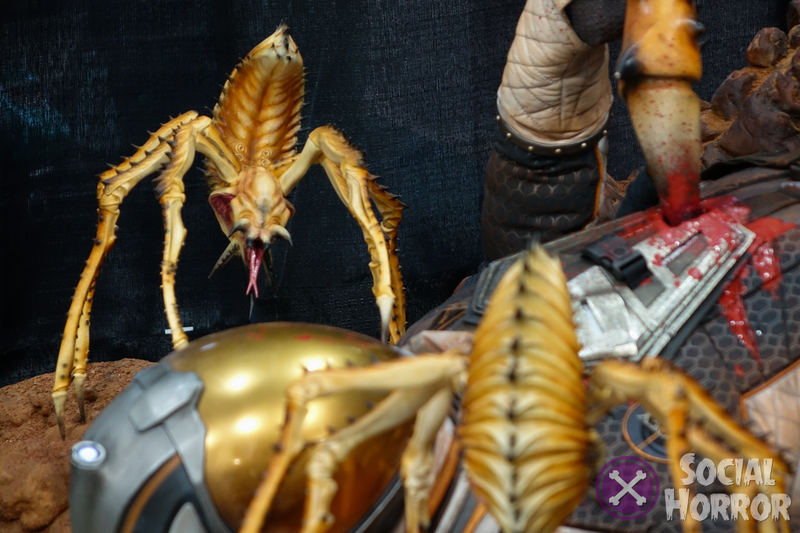 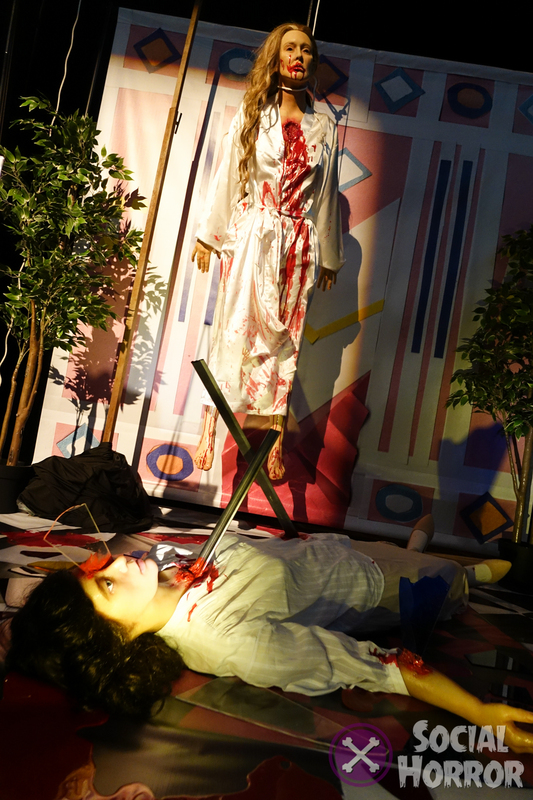 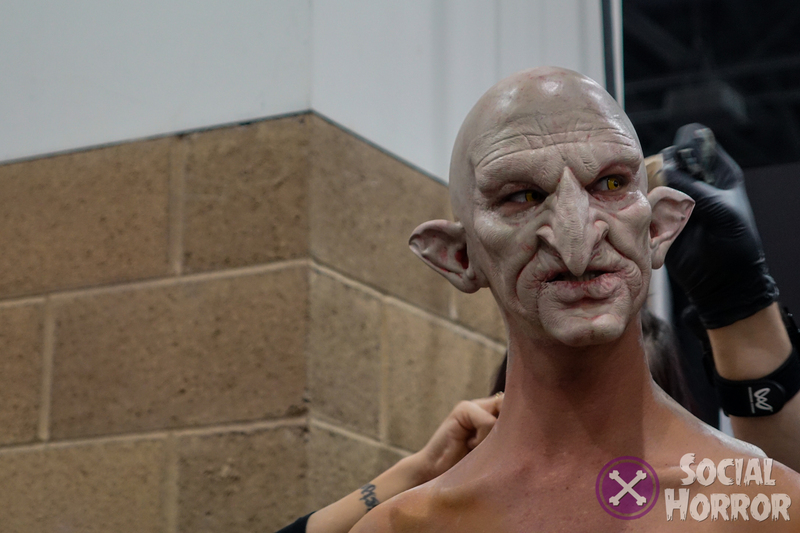 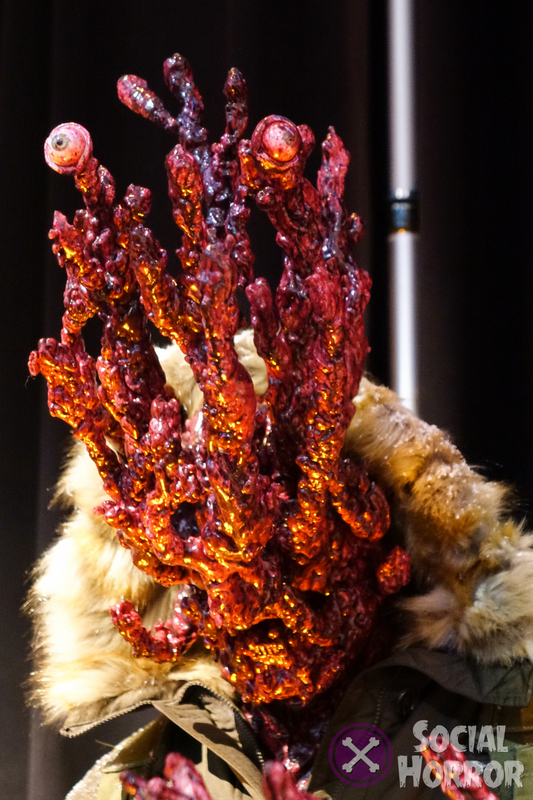 In the Monsterpalooza museum, there’s always something amazing to see and Casey Wong was one of those things. 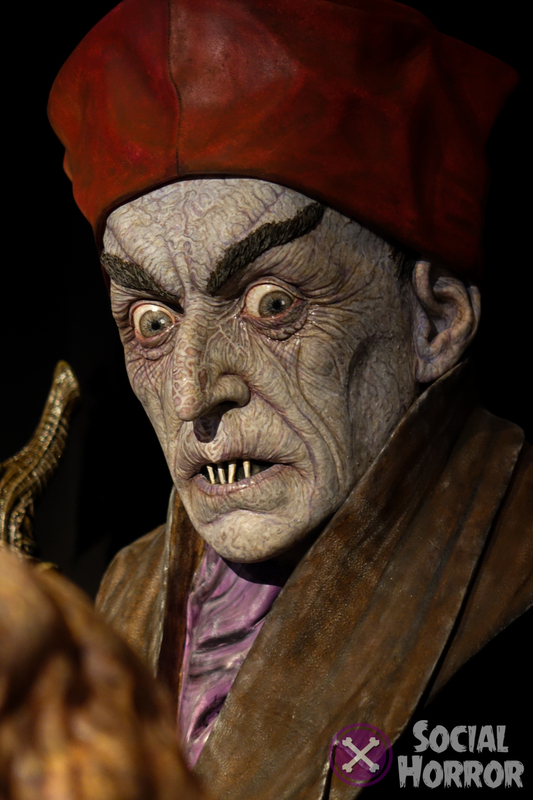 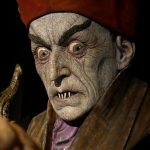 His sculpts and design are on levels like artists Rick Baker and Mike Hill, faces so detailed and realistic that if you look long enough, they just might move. 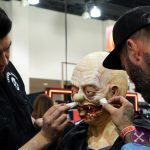 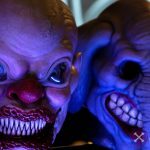 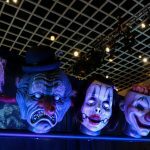 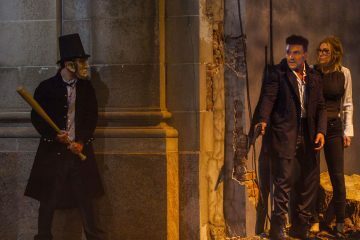 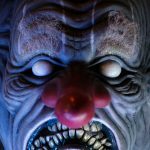 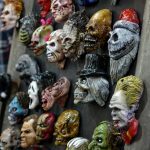 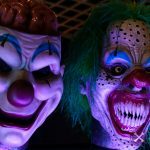 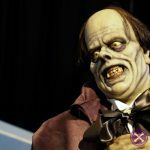 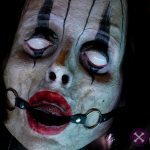 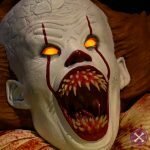 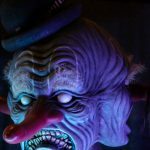 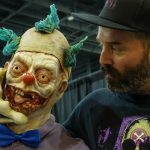 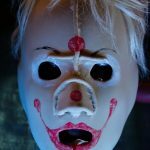 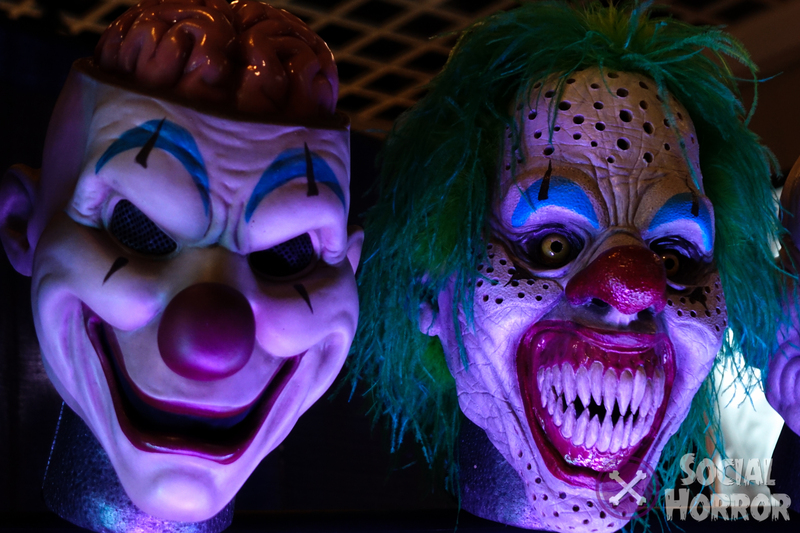 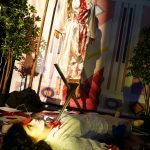 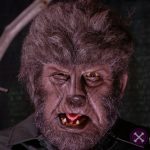 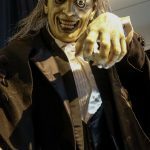 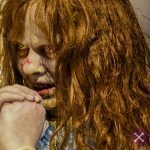 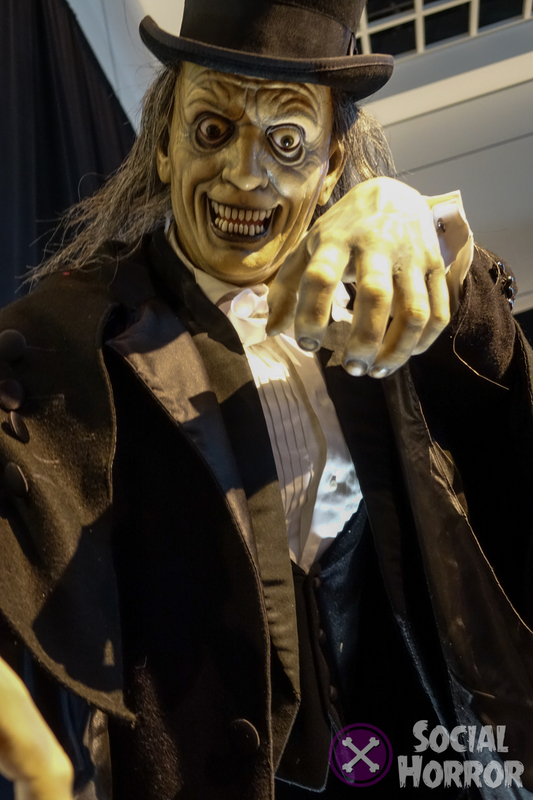 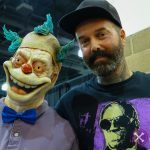 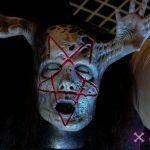 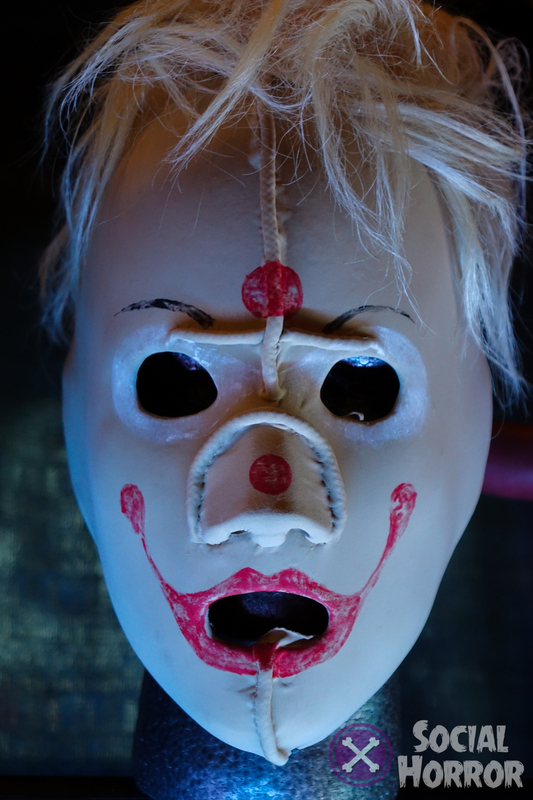 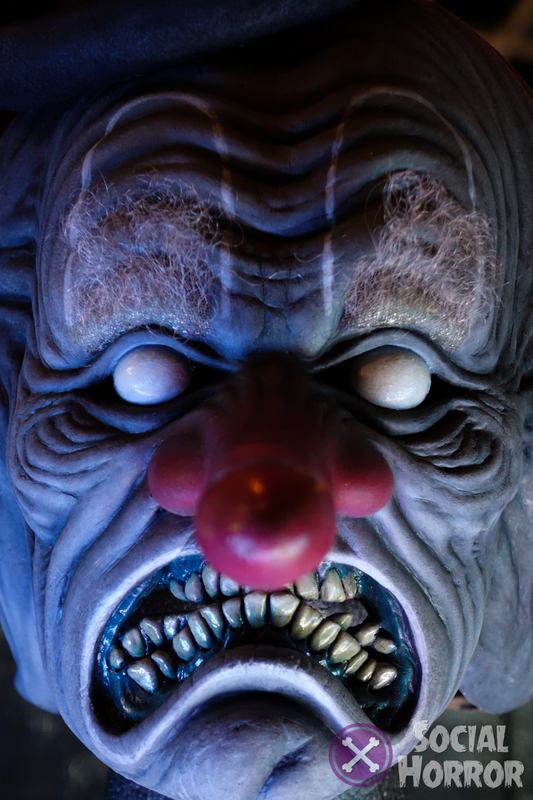 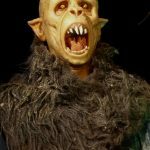 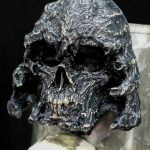 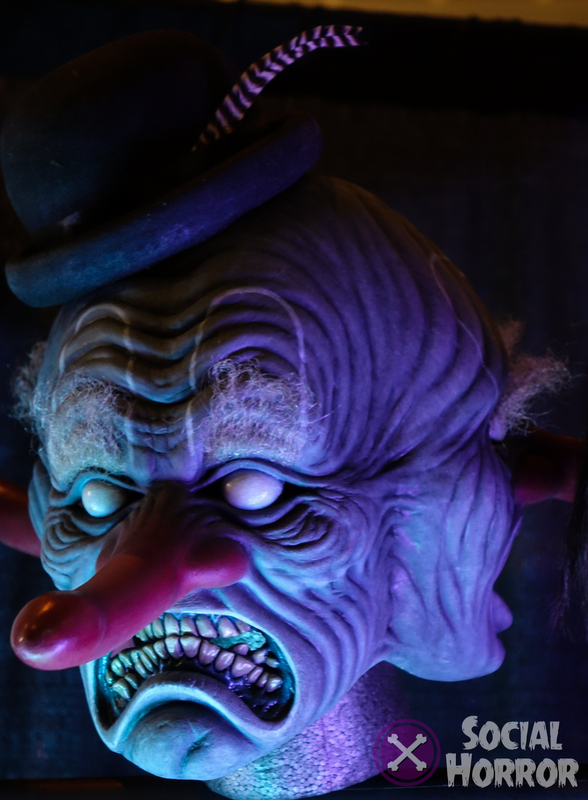 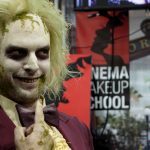 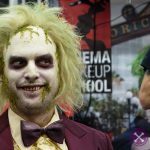 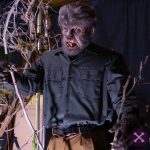 He’s contributed to loads of great things in the Southern California horror world, most notably and recognizable, he’s worked for Universal Studios Hollywood for Halloween Horror Nights. 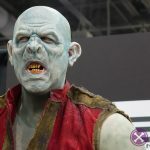 I just had to highlight something super interesting that I saw, another crossover of sorts from artist Matt Molen who also works for Sideshow Collectibles. 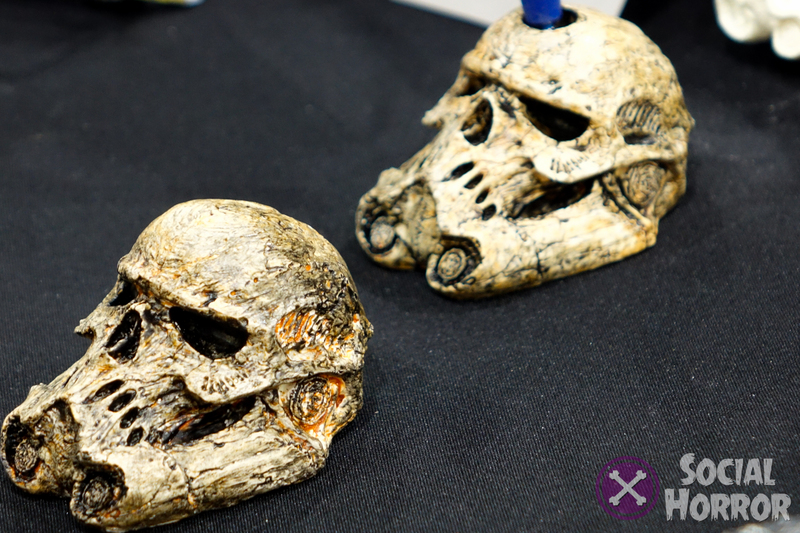 He did these awesome pieces that were Star Wars pieces with horror sensibilities. 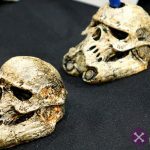 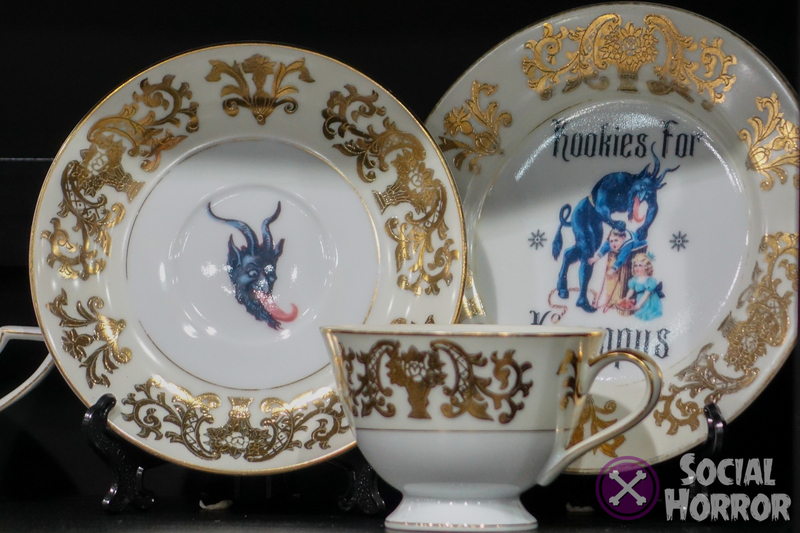 While Star Wars in itself is a mega machine when it comes to merch and there is so much crossover content on the internet, this was work that really caught my eye among what I’ve seen in the last few years. 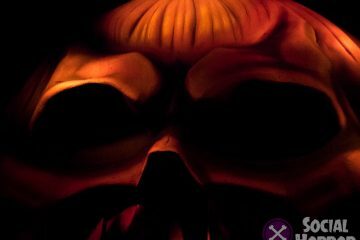 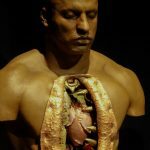 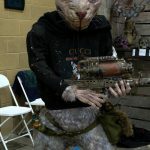 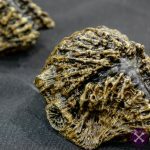 If you check out his site (you can get there by clicking his name above) he’s got a lot of really unique art and some exquisite 3-d modeling. 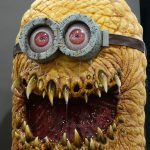 To wrap things up, I have one more thing I’d like to highlight. 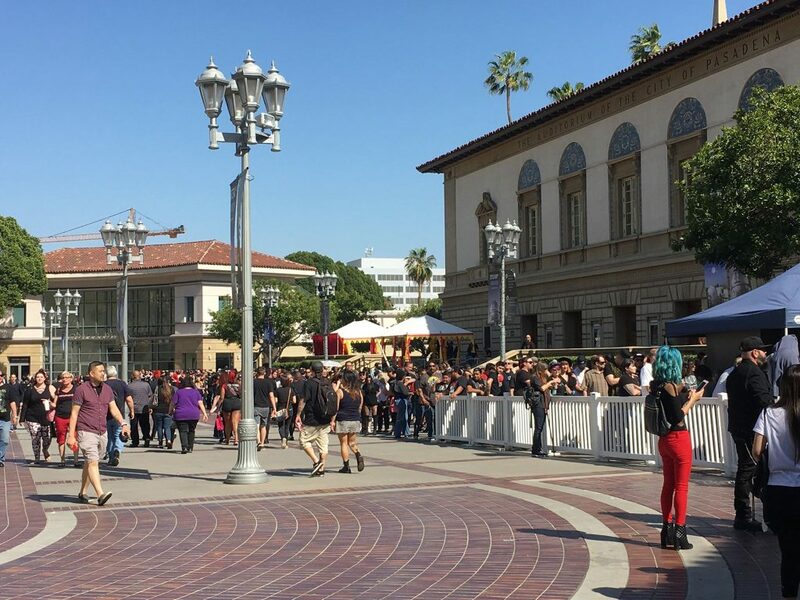 This photo was taken just before 4PM on Saturday, the line to purchase tickets at the door hadn’t moved much and many sat in the sun almost all day. 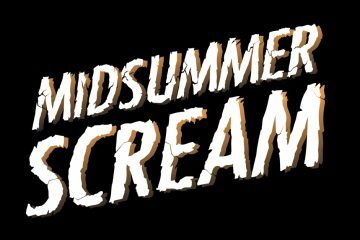 It must be said every year, again and again, when this show comes up, do not wait to buy tickets. 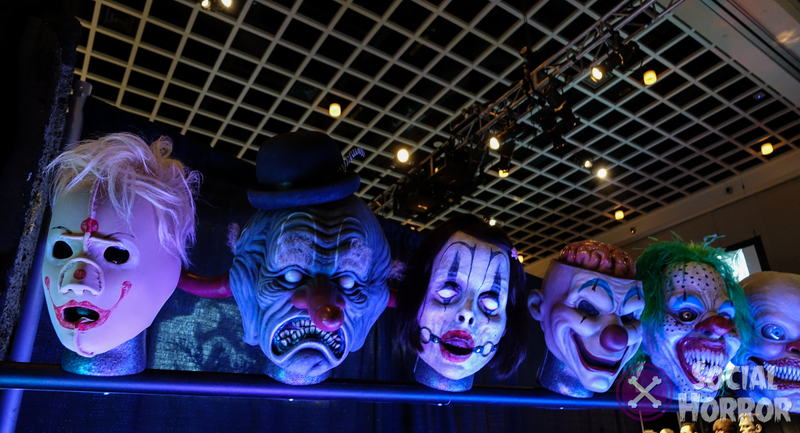 Purchase your tickets ahead of time online and you’re guaranteed entry. 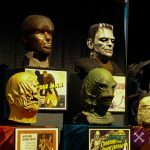 It’s dangerous to stand in the heat all day and a bummer if you spend that much time just to miss out on a whole lot of cool stuff. 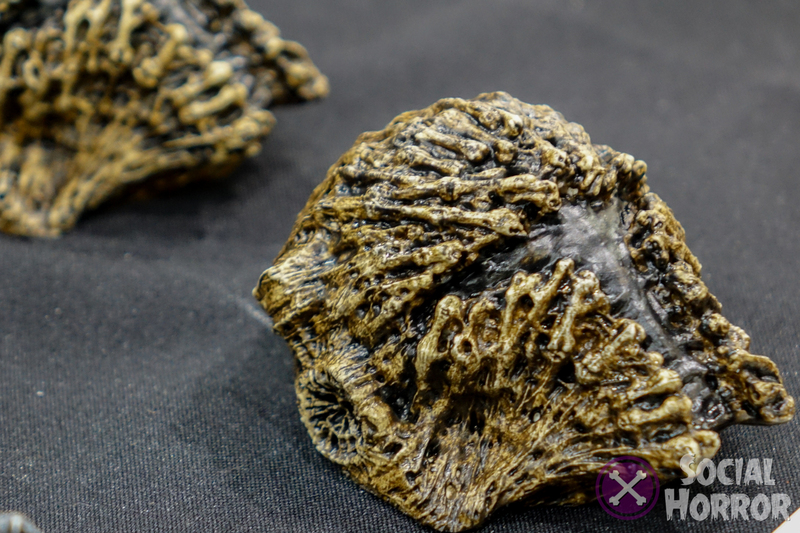 Enjoy the other photos below and these plus more will soon be uploaded to our Facebook page. 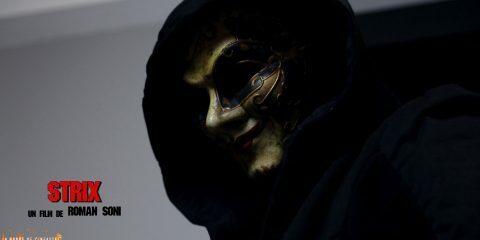 Thank you for pointing this out! 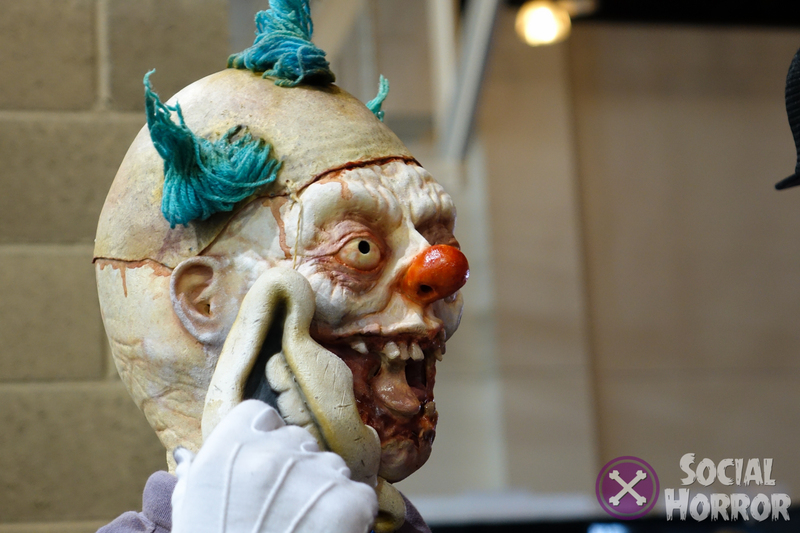 We’ve fixed the issue, sorry for the delay!